Add soft ambient lighting anywhere in your home. 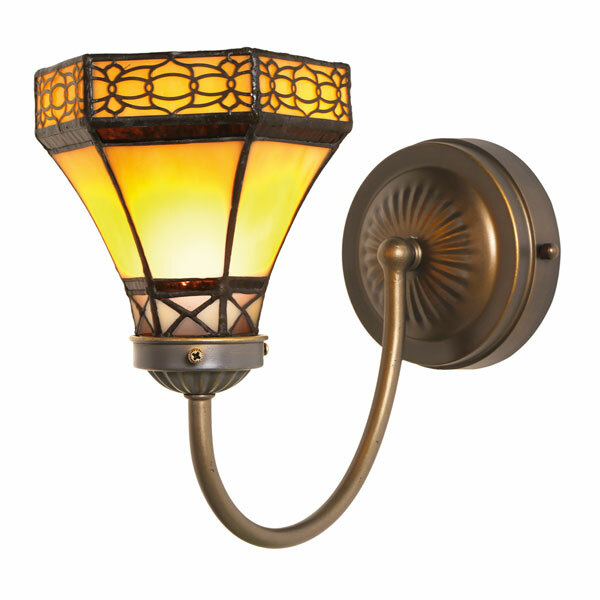 Crafted Tiffany-style from many cuts of art glass, sconces stand out from the wall on curved metal arms with an antiqued bronze finish. Long-life LED bulbs provide up to 180 hrs. of light on 3 D batteries (not included). Installs in moments and operates by remote control (on/off, dimmer, timer). AC adapter and 9' cord included should you want to plug it in. Use indoors or out in a sheltered area.